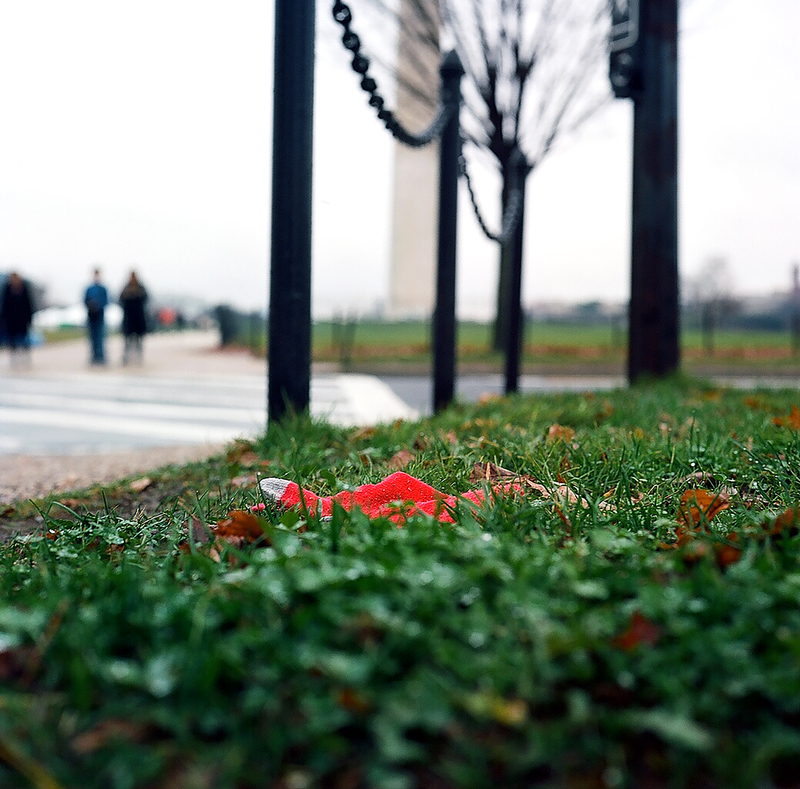 Crossing 17th Street on our way to the Lincoln Memorial, I spot a red glove in the grass by the side of the road. It is not surprising to see gloves on the ground, especially in a major city during the winter months. But, this one seems to call to me…the red color against the vibrant green grass. Seeing single gloves on the ground always makes me wonder where could the other one be?